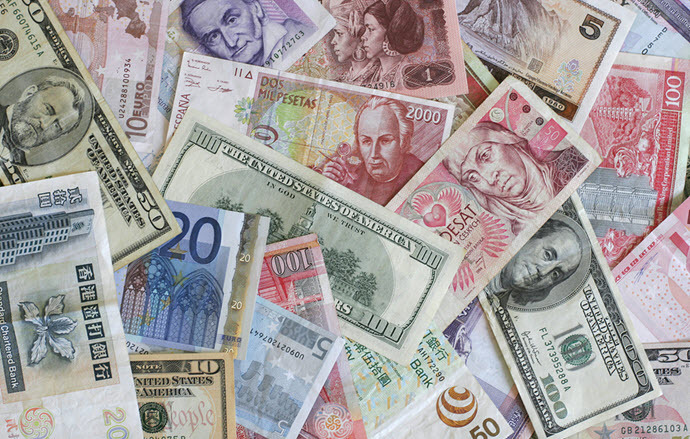 If you’re heading outside the United States, you will likely have to cope with foreign currencies. And despite all those “insider tips” you see, what you need to know is really pretty simple. If you’re careful, you can cut your maximum loss to 1 percent. Don’t:: Exchange currency at an airport exchange desk, either in the U.S. or at your destination. You’re likely to lose up to 15 percent on the exchange rate. Don’t:: Buy travelers checks. You pay conversion fees when you exchange them, and these days many foreign merchants don’t even accept them. Get with the 21st century; use plastic. Do: Rely on plastic for most foreign payment needs. But make sure it’s the right plastic. Do: Use a credit card for big-ticket purchases, such as hotel accommodations, internal airline and rail tickets, and expensive restaurant meals. Do: Use a credit card that does not put a surcharge on foreign purchases, or charges a maximum of 1 percent. Most travel-oriented credit cards these days do not add their own surcharge to the 1 percent or so the international networks charge, and a few even absorb that 1 percent. But if you don’t have a zero-percent card, it’s no big deal. Losing 1 percent is below the financial noise level for most travelers. Don’t:: Let a merchant talk you into charging you in U.S. dollars as a “convenience.” When a seller bills in dollars, the seller sets the exchange rate — which is almost always a lot worse than the official rate. Trade sources report conversion exchange-rate gouges as high as 9 percent. And paying in U.S. dollars won’t avoid any foreign exchange surcharge, either; if your bank adds a foreign surcharge, it adds it on any charge originating outside the U.S. regardless of currency. Don’t:: Use a credit card to withdraw local currency from an ATM — you’ll likely incur stiff fees and interest charges. Do: Use an ATM (debit) card for foreign currency you need for incidentals. But make sure it’s the right debit card. Don’t:: Use a debit card issued by a bank that (1) adds a currency surcharge on withdrawals, (2) adds a withdrawal transaction fee of its own, and (3) adds any withdrawal fees local banks might assess. Chances are, if your main checking account is with one of the large U.S. banks, your debit card does not fit any of these three requirements. Even Bank of America now adds a currency exchange fee to its vaunted “Global ATM Alliance” program that once offered totally no-fee withdrawals at participating banks. Do: Use a debit card from a bank issuing debit cards that avoid all three fees. Many savings banks, credit unions and online banks issue such ATM cards, as does USAA. If necessary, open a low-fee checking account with one of those banks strictly for travel use. The bank may limit the number of no-fee withdrawals, but most of the time you can live with those limits. And although not always a problem, get a card with a chip: Some foreign ATMs no longer accept magnetic-stripe cards. Don’t:: Withdraw currency from an airport ATM operated by a retail foreign exchange outfit. Over the last few years, retail foreign-exchange outfits such as Travelex have made deals with airports for exclusive ATM installation, and they’ve recently expanded into city areas where tourists tend to congregate. Although these ATMs prominently claim “no fees,” they make the exchange at a really bad rate — as bad as they give you at the retail counter, which is usually very bad indeed. When you need local cash, make sure you get it through a major bank, not a foreign exchange outfit or a local retailer. If you aren’t sure about your arrival airport, check your MasterCard or Visa locator system to see which bank or banks operate ATMs there. Do: Be careful with your plastic. When you go out, take only the card(s) you’ll need. And if you have more than one, exchange them with your travel companion in case either tangles with a pickpocket.